What's Poppin' Tonight! 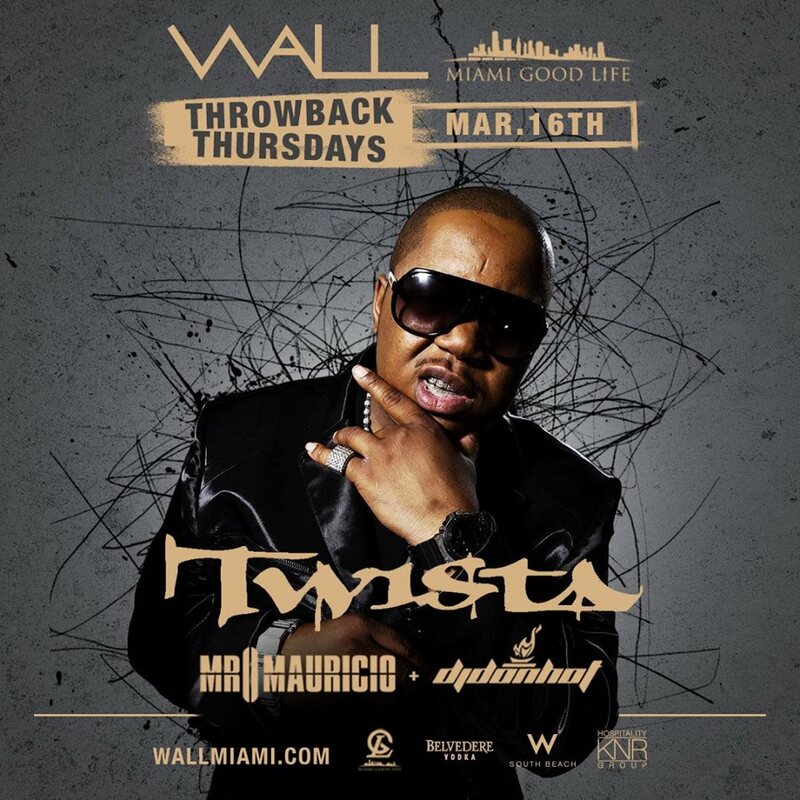 #WallThursdays presents #ThrowbackThursdays w/ TWISTA LIVE at WALL Lounge #HipHopThursdays ~ Phresh Hott New! Tonight! Miami Good Life presents Wall Thursdays “Quality over Quantity” featuring Throwback Thursdays with Twista LIVE at WALL Lounge. The sexiest hip hop party in Miami goes down each and every Thursday at #WallThursdays! Come & get your hip-hop fix tonight at #WALLThursdays! #HipHopThursdays. Brought to you by KNR Hospitality www.knrhospitality.com and MIAMI GOOD LIFE. Sounds By: Mr. Mauricio | Dj Don Hot | + More!